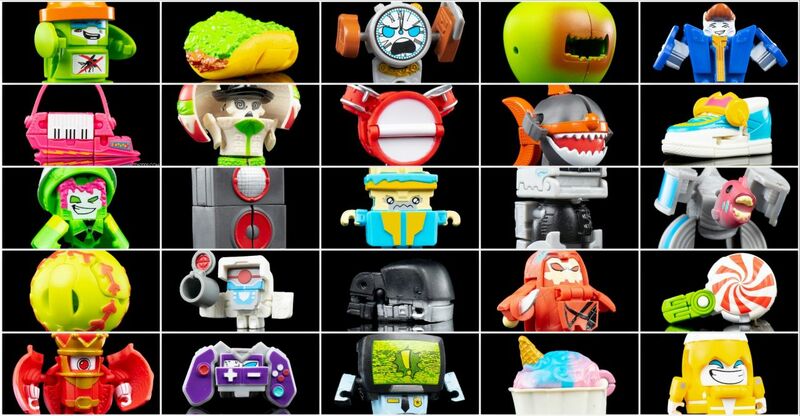 Hasbro Website has updated the Botbots section with a complete and detailed Bios of Series 2 (Series 1 available too). You can scroll over the different gangs and enjoy the fun art and characters bios. We are sure you will have a great laughing time! We can also find downloadable Collectors’s guides for Series 1 and Series 2 with images and names of all the small toys. Don’t forget to check out TFW2005 special galleries of Botbots here and here! Join to the #Botbotschallenge! Check out the mirrored images on this news post and then sound off on the 2005 Boards! The #BotBotsChallenge rolls on, with TFW2005 member Capirus picking up Swag Stylers and two versions of the Spoiled Rottens 8-Packs at a Torrance, CA Target location. Use our Series 2 Promotional Box Review to track your collection and remember to share your sightings news on the 2005 boards! 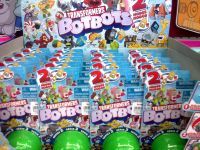 Under the watchful eyes of Combiner Wars Scattershot, TFW2005 member Sammael reports the arrival of BotBots Series 1 Techie Team 5-Pack and Greaser Gang 8-Pack to the Dexy Co Kids Delta City Mall location. Review our previous BotBots coverage as your collection grows and good hunting to all! 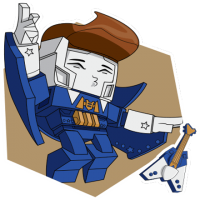 Amazon.com has updated a new listing for a Transformers BotBots Official Sticker Book. The album has more than 500 stickers and data file on 123 characters (Series 1 and 2). A real #BotbotsChallenge for any fan. This title will be released on September 24, 2019 and you can pre-order it now for $9.99. Click on the bar to see the album cover and then shares your impressions on the 2005 Boards! Via Transformers Peru we can report a very unexpected sighting of new toys at Peruvian retail. 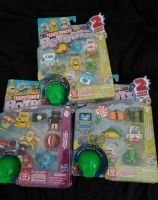 Following the reports in Chile now Peruvian supermarket Maxx (part of Ripley stores here) in Megaplaza Mall received the small and fun Botbots Series 1. Only 5-packs were available for 44.90 Soles or $13.60 approximately, which is a fair price. 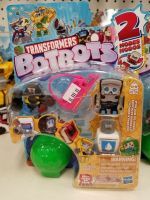 Rescue Bots Academy Whirl and Medix big and simple transforming figures were also available in the same store together with the Mega Mighties Rescue Bots Bumblebee and Hot Shot. It’s not usual to see new toys at stores during the beginning of school period in Latin America, but let’s hope this means Siege and Studio Series toys may surface any time soon.